Moody's Investors Service has downgraded the corporate family rating of Dar Al Arkan Real Estate Development Company (Daar) to B1 from Ba3 and the company's probability of default rating (PDR) to B1-PD from Ba3-PD. The outlook on the ratings is negative, said statement from the ratings agency. "The rating downgrade and negative outlook reflects our view of the interlinkages between the weakening operating and macroeconomic environment that could continue to negatively impact Dar Al Arkan," remarked Rehan Akbar, the assistant vice president at Moody's, analyst and a lead analyst for Daar. "This follows the firm's weaker than anticipated financial performance in 2015 and we believe that market conditions will remain challenging over the coming 12 to 18 months," he noted. 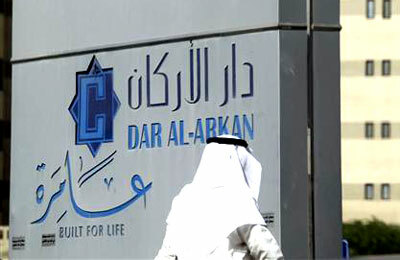 "Dar Al Arkan in our view will be able to adequately address its SR1.5 billion ($400 million) of debt maturities due in 2016 primarily through internal cash sources,." explained Akbar. "The B1 rating also assumes that management will continue to pursue financial policies that build up cash buffers ahead of its SR3.9 billion ($1.03 billion) in debt maturing in 2018 and 2019," he added. Moody's said the rating action was in response to a combination of factors including the uncertain economic outlook for Saudi Arabia and Daar's weakening credit profile. Moody's forecasts that Saudi Arabia's real GDP (gross domestic product) growth rate will fall to 1.5 per cent in 2016 from an expected 3.4 per cent in 2015. The government of Saudi Arabia's recent fiscal consolidation measures including budget cuts and the reduction of energy subsidies, combined with geopolitical tensions, is likely to further weigh on investor sentiment in 2016, said the ratings agency.